Urban Wildlife Guide: Snow Geese! Snow geese, Chen caerulescens. Click to enlarge. Snow geese are migrating now. They have spent the summer breeding above the timberline in northern Canada and Alaska, Greenland, and Siberia. Now they are heading to warmer places: southern British Columbia, southern North America, and Mexico. 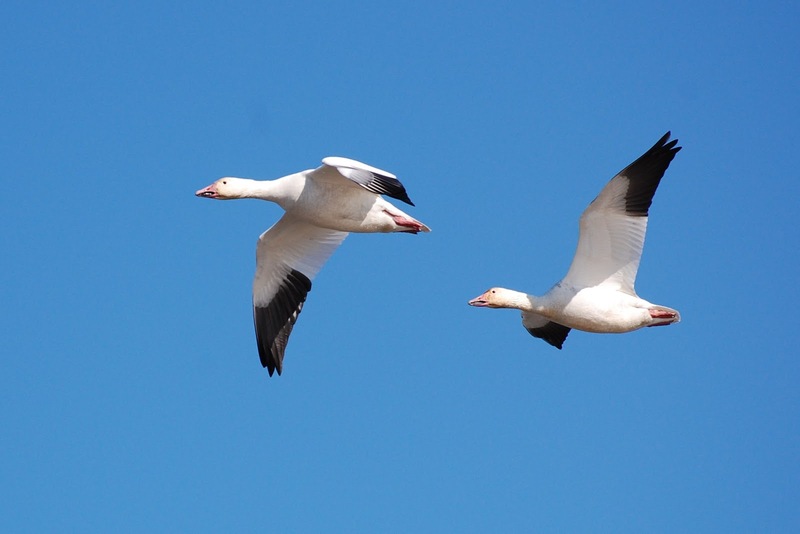 Snow geese are white with black wingtips. They have pink bills with a dark line, sometimes called black lips. The pictures in the blog were taken at Forsythe National Wildlife Refuge in Oceanville, New Jersey, near Atlantic City. Beautiful photos Julie! I hope this new post means that you and yours are safe after the storm. Thanks, Christy. We got off easy with the loss of a few trees. Just hoping everyone else around here gets back on their feet soon.